Saw the film Frozen a while back where skiers get trapped on a ski lift - I'm sure it couldn't happen here! lol Winchester, that is the first thing I thought of when I saw that picture! We watched it last month. That is an awesome picture Larry! 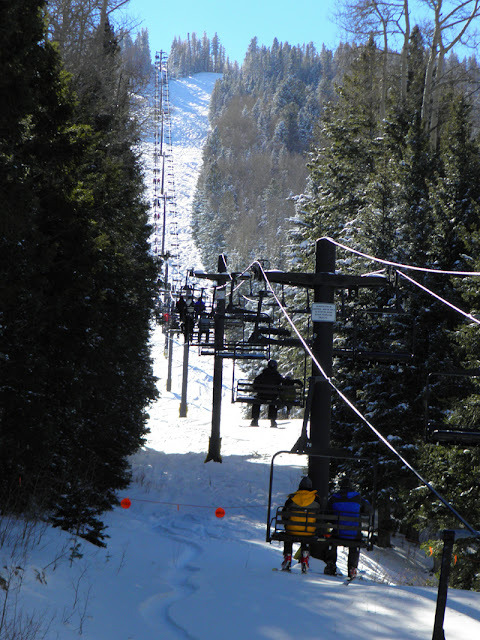 Pajarito Mountain ski patrol trained and drills on getting people off of stalled or damaged ski lifts. I think they've actually had to do that a couple of time when the life breaks down.